This IRIS 3-Tier Storage Shelf can be used to store toys, books, games and more. Bottom shelf has angled lip to keep items secure and three shelves provide just the right storage space for bedroom, playroom, or any room in the house. 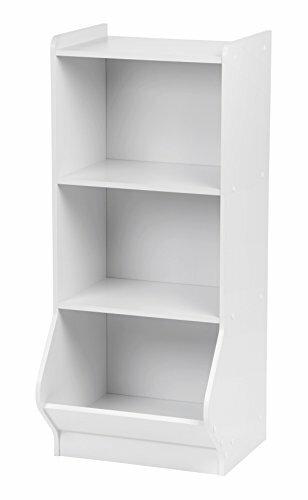 Clean white color fits most design schemes and flat shelves are great for books or to display special decor or photographs.